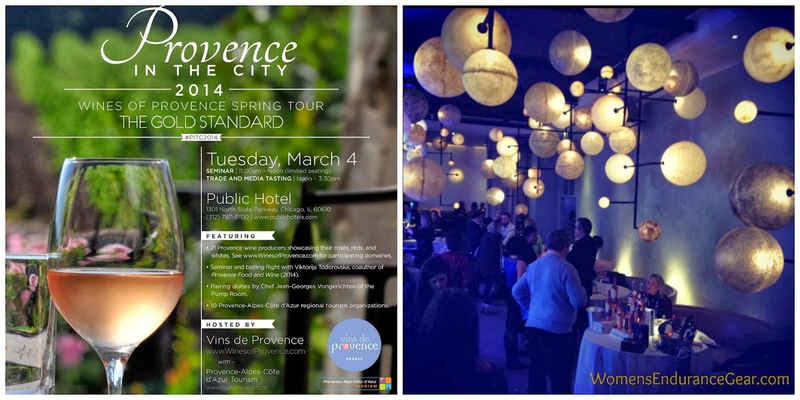 We had a pleasant mental respite from the Chicago winter by attending the Provence in the City wine tasting at the Public Hotel. Some reds and whites, but primarily rosés from sunny, seductive Provence were featured. The dry, aromatic, pale roses make up 89% of the total regional production - not the sweet, bright pink rosés most Americans think of. Unfortunately we were a little pressed for time so didn't have a chance to taste all the wines, but every one we did taste, we enjoyed. So for your next barbecue or afternoon at the beach - or just for a taste of summer, grab a rosé from Provence - you won't be disappointed! Could not believe the quality - every wine was tasty! Sounds pretty sweet about now. Ready to Train for a Marathon?